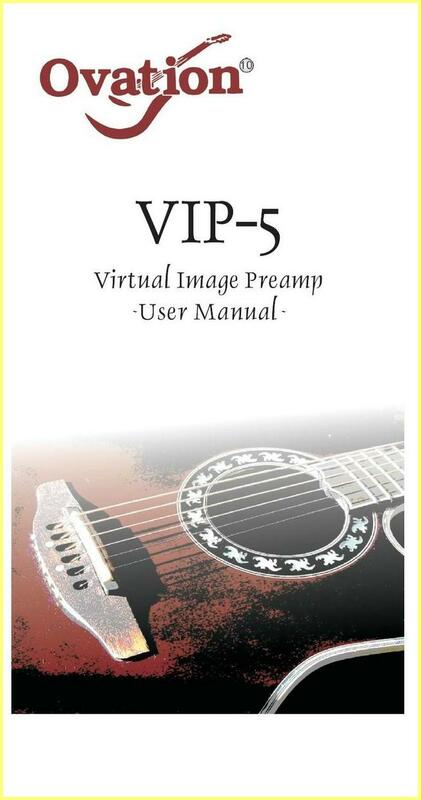 VIP-5 preamp, the future of acoustic guitar amplification! Ovations new VIP (Virtual Image Processing) is the future of acoustic guitar amplification! in a state of the art recording studio with the finest microphones. Using spectrographic analysis, the pickup output is compared to the spectrograph of the recorded sound. The signal is then sent through approximately 1000 filters and shaped exactly like the recorded sound.